Pedego Electric Bikes will mark their first exhibit at the Ausbike (http://ausbike.com.au/) conference in Melbourne, Australia, October 12 – 14. Company co-owners Terry Sherry and Don DiCostanzo are excited about participating for the first time in this conference, as their electric bikes have been gaining momentum all over the country. Pedego CFO Sherry says, “This conference hosts a huge number of bicycling enthusiasts, many of whom have heard about Pedego and are eager to test one.” Pedego was given exhibit space #001 – a testament to that enthusiasm. Pedego Electric Bikes is expanding in Australia, and the company is currently seeking prospective dealership partners. Sherry will be available throughout the conference to speak with any locals who would like to learn more about becoming a Pedego distributor. Interested parties attending the Ausbike trade show are encouraged to visit the Pedego exhibit and request a meeting. Pedego’s burgeoning success in Australia is due in part to their wide selection of colors and styling options not previously available to the country’s electric bicycle market. 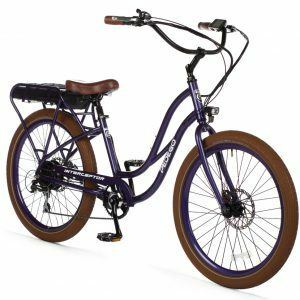 All of Pedego’s Classic California beach cruiser, Step-thru, Commuter and Tandem models meet the standards for electric bikes in Australia. Each is equipped with a proven 250-Watt motor and pedelec system that will provide motored assistance as you pedal up any incline or against a strong headwind. Offering more than a 25-mile range on all models, and a potential reach of 40 miles with a battery upgrade, each Pedego electric bike can take its rider almost anywhere. The addition of Pedego Electric Bikes to the Ausbike trade show will bring a new dimension of biking fashion and fun to this event. Visitors to the show are invited to stop by, meet the staff and see the new models. Inaugurated in 2009, Ausbike is Australia’s first and largest national trade show for bicycle-related businesses and cycling enthusiasts. 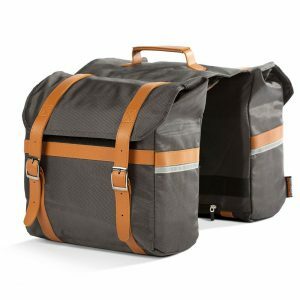 The event includes all kinds of cycling and presents hundreds of exhibitors offering a large selection of biking accessories from Australia and around the world. The exhibition offers more than 32,000 square feet of booths, tracks and meeting venues. Visitors will be able to see brands from around the world, view a sizeable collection of vintage bikes on display, try some new 2013 bike models, and catch up on the new cycling fashion trends — for both urban and sports use.